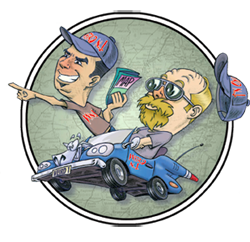 Subscribe to your favorite magazine from New Jersey for 2019! 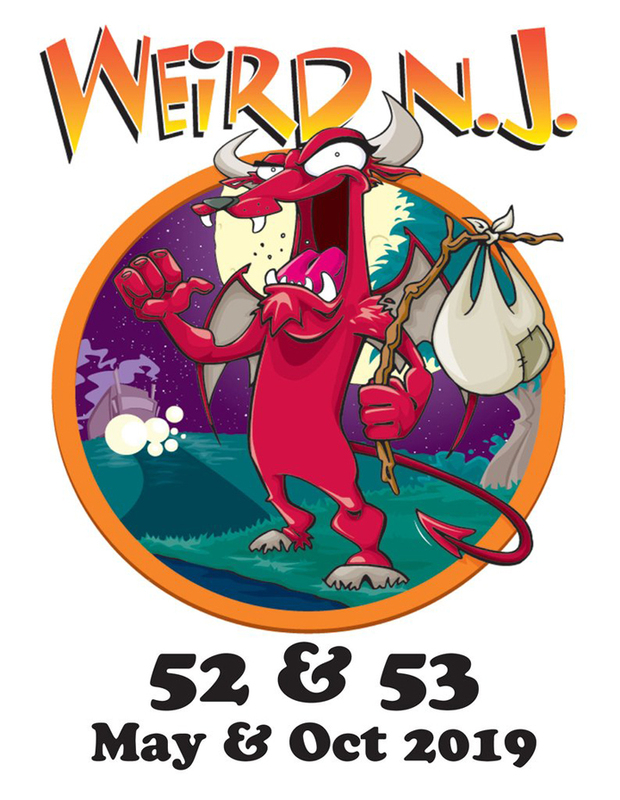 That’s right, Weird NJ issues #52 and #53 can be delivered to your door in May and October. We collect stories about New Jersey. That’s what we’ve been doing for the last 25 years. We like stories that make New Jersey the atypical place that it is. 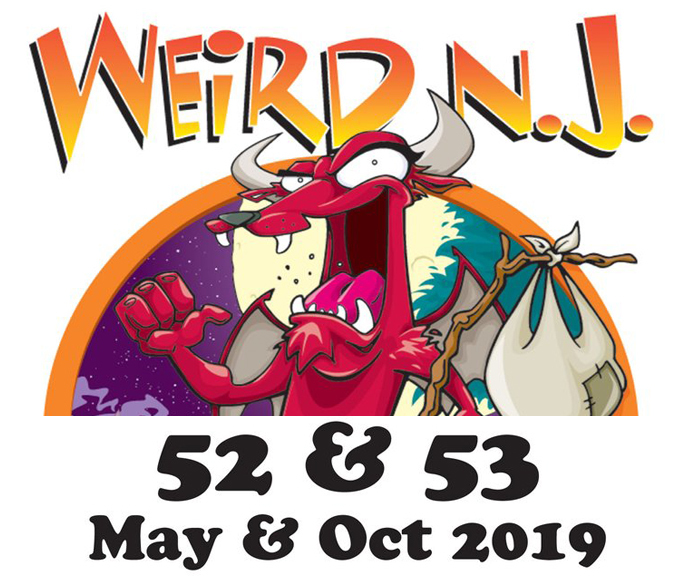 Maybe not weird to some, but we’ve always felt the magazine should represent everything New Jersey is distinctive for in an offbeat and wonderful way. 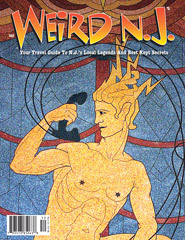 We think that’s what gives Weird NJ magazine the timeless and decidedly “Jersey” quality that it has. We still have many avenues to travel with this project we call a magazine and we have you, the readers, to thank for keeping us on the darker roads, in the tick-infested swamps, crawling under floorboards and through musty tombs, and dodging cave crickets in dark tunnels to find new stories to entertain you. 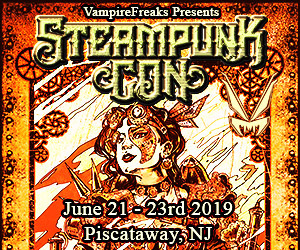 Who knows where we will travel and what weirdness we’ll uncover in the wilds of the Garden State. Stay tuned! IF YOU ARE PURCHASING A SUBSCRIPTION FOR SOMEONE ELSE: Please make sure the “Billing,” and “Ship To” boxes are filled out correctly. We do not send notices or gift cards. It’s up to you to alert your weird friend or relative of your generous gift of weirdness. Issues will be mailed around MAY and then again in OCTOBER of 2019. This entry was posted in Latest Weird News and tagged 2019, gift subscription, latest issues, magazines, subscription. Bookmark the permalink.